Trust is important when it comes to Kickstarter and early access titles. People are spending money on intangible things and proofs of concept; hopes, really. I think we’ve been traveling down this road for long enough to know that a finished game isn’t always going to appear. There’s an element of risk inherent in the model. But there’s still an expectation of communication and transparency. It’s slowly being eroded. 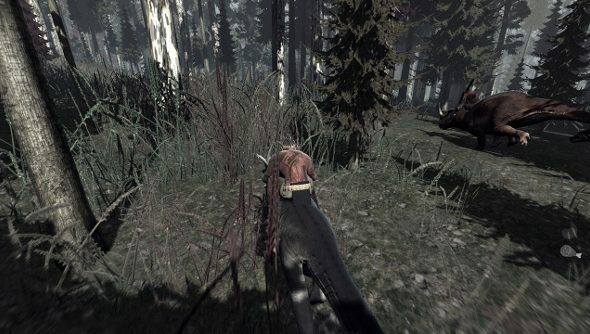 Last year, dinosaur survival romp, The Stomping Land, made $114,060 on Kickstarter. On May 30th, an Early Access version was released on Steam, costing £18.99/$24.99. Since its alpha launch, there’s been one update. That was back on June 6th. Since then, the developer SuperCrit has gone quiet. Eerily quiet. Hey guys! Sorry for the sudden and abrupt silence. I had some personal matters to attend to but I'm back and ready to stomp! There has been little stomping since. On the developer’s forums, the Steam forums and basically everywhere else including the Kickstarter update page, there has been the deafening sound of silence. SuperCrit originally planned to release weekly updates, pretty common for crowd-funded games, but that was eventually ditched. Backers are growing concerned, some asking for refunds. A generous person could assume that the developer is working away on the game and just doesn’t want to make any updates until there’s something to show. But that doesn’t necessitate a communication blackout, which is clearly doing a lot of harm. It’s reached the point where there is now a petition – with 1,548 supporters – on Change.org to get the game removed from Steam while refunding all backers. Did any of you lovely lot throw your money at this?